Clear View have recently completed another successful installation for a large home in Flockton Wakefield. 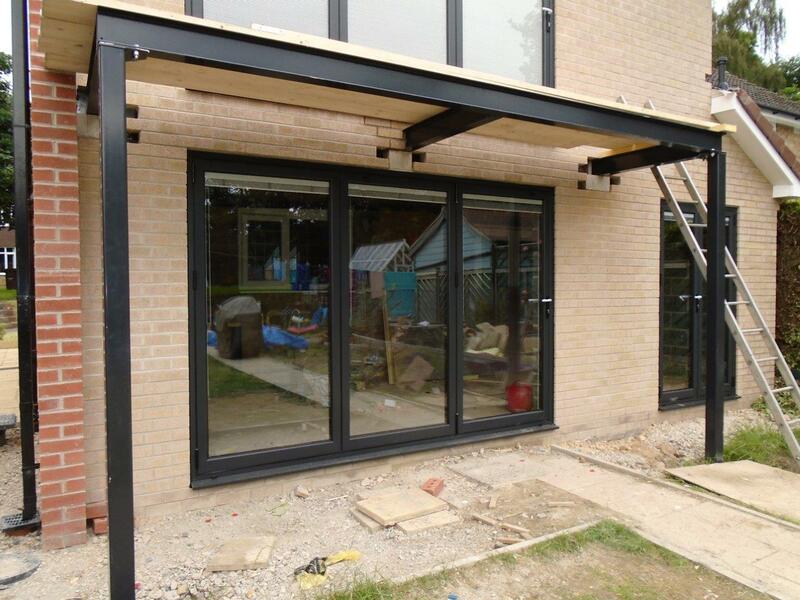 After an initial consultation, it became clear the customer wanted to transform the rear of their home with bi-folding doors both upstairs and down to create a seamless transition between their indoor living areas and outdoor space. Manufactured in our warehouse in Meltham Mills to meet the customer’s specific needs, the two bi-folding doors were AluK GB BSF70 OUT Frame measuring 3167x2110mm. All three panels of both bi-folding doors slide to the left, with easy access in and out of the property for the customer through a traffic door. The customer also required a 1390x 2140mm AluK GB BSF70 OUT Frame all around standard French door to provide them with further downstairs access to their home. Finally an AluK GB 58BW/ 58BD Residential/ ST upstairs window was added to the property, measuring 590x 1085mm it added a small but valuable injection of natural light to the home. All the newly fitted windows and doors are finished with the same RAL 7021 Matt Black which has created an impressive uniform look to the rear of the house. Increased access to the garden means the customer can make the most of the last summer months. However as winter does approach, the high quality glazing- 4mm toughened/ 20mm argon (black spacer) with integral blinds cavity/ 4mm toughened low-e inner- will ensure the home is well insulated and will reduce heating costs within the property. If you are thinking of transforming your living space with new aluminium windows and doors get in touch with the team on 0800 1357167 for our expert advice.